You must be a member of the Cologne Interesting Talks Group to attend this activity. Would you like to join this group? The reading will be in German. Reading with Michael Scott Moore: "Wir werden dich töten. Protected content in der Hand von Piraten. " 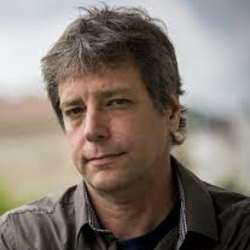 In Protected content , the German-American journalist Michael Scott Moore traveled to East Africa to investigate pirates who were tried in Hamburg. In Somalia, the bitter irony of fate, he himself is kidnapped and subsequently held in various places for almost three years. But Moore stays strong, survives violence, hunger, isolation. After Protected content and payment of $ 1.6 million ransom he is released. On February 7, Protected content , his book "The Desert and the Sea: Protected content Captive on the Somali Pirate Coast" (German title: "Wir werden dich töten. Protected content in der Hand von Piraten", Edel Books). It is the gripping description of a kidnapping - a mental roller coaster ride, but also a brilliant reportage with insights into an unknown world. Despite his traumatic experiences, Moore manages to paint a differentiated picture of Islam and not lose sight of the political, economic and religious background of his kidnapping. Michael Scott Moore is a journalist and author. He writes u.a. for The Atlantic, The Mirror, The New Republic, The Pacific Standard, The New York Times and The L.A. Times. He worked for Spiegel Online in Berlin for several years. Michael Scott Moore has already published several books. He is a German and American citizen and currently lives in the USA.